Read more about Preparing for A-MAVEN Science! 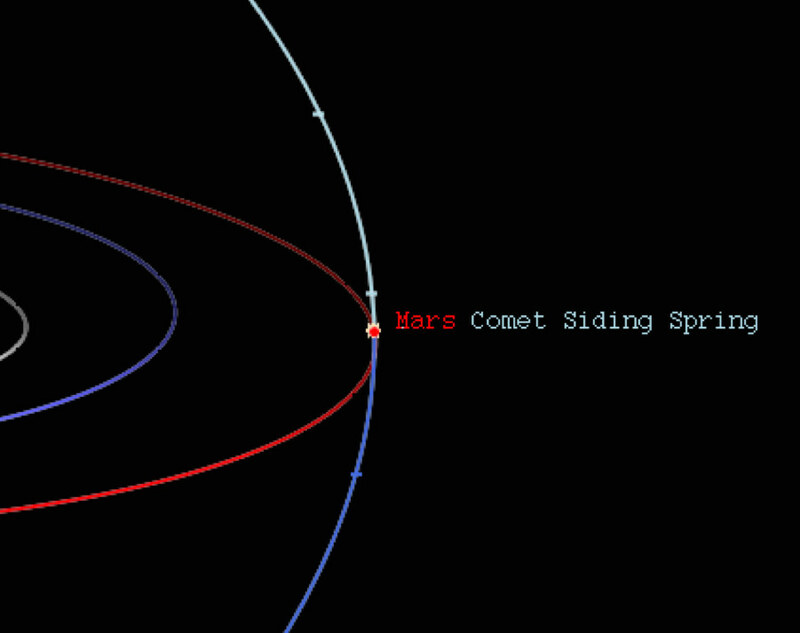 Comet Siding Spring (C/2013 A1) is going to make a very close approach to Mars on October 19, 2014, passing only 131,000 km from the planet (from the current orbit solution). With a relative speed of 56 km/sec, any comet dust that reaches Mars has the potential to inflict significant damage on the spacecraft orbiting the planet. As it turns out, however, Mars and its orbiters are likely to see very few, if any, impacts. Why? 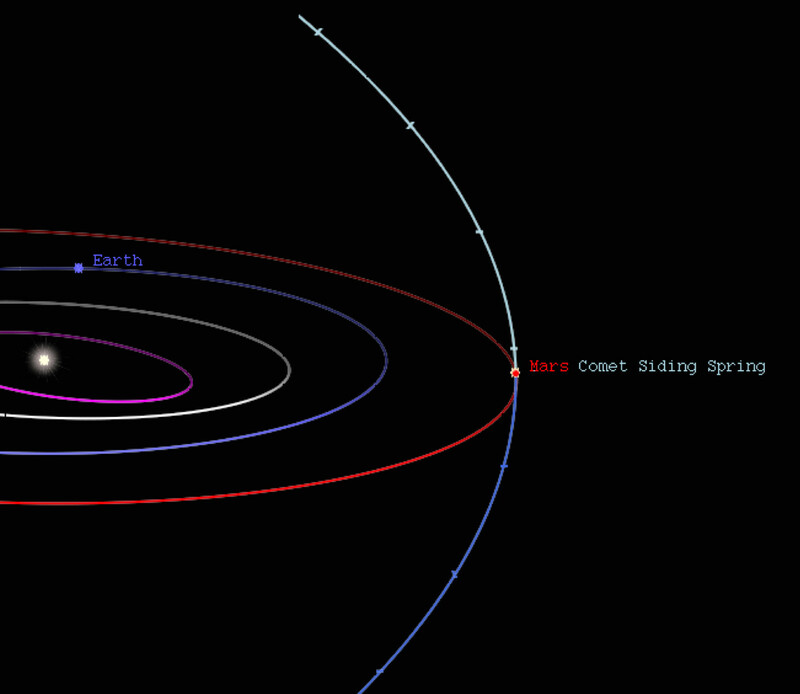 Read more about So Close and Yet So Far: Why isn't Siding Spring going to sandblast Mars? Umm... should those two be quite that close together?? Read more about Kicking Off the Siding Spring Campaign!